Prior to that horrible day of Sept. 11, 2001, we traveled the US by commercial airlines with much more freedom that we have today. We were even able to take on board our Every Day Carry (EDC) knives and collectibles- as we either headed to a show or were returning from one. We all know that all changed and after that date the Transportation Security Administration was created to oversee security for our ports and the 450 U. S. Airports employing 50,000 people. About every week I see this army of good folks working to keep our skies safe and free of dangerous items and substances. They usually take something of mine. Typically it is liquid bottles over 3 oz (shaving cream, shampoo, etc). They have taken lighters and even a bottle of hot sauce I forgot I had in my briefcase (it was Christmas present I forgot to take out). 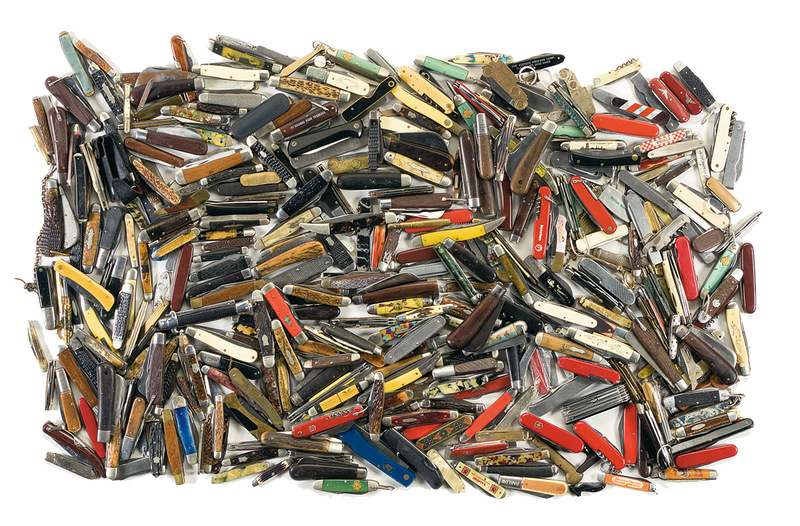 We all know they take up pocketknives too. Fortunately I have yet to have a knife taken away. For more info on TSA’s confiscations check out this tsa-facts-2002-2006. In the meantime the answer was number six. 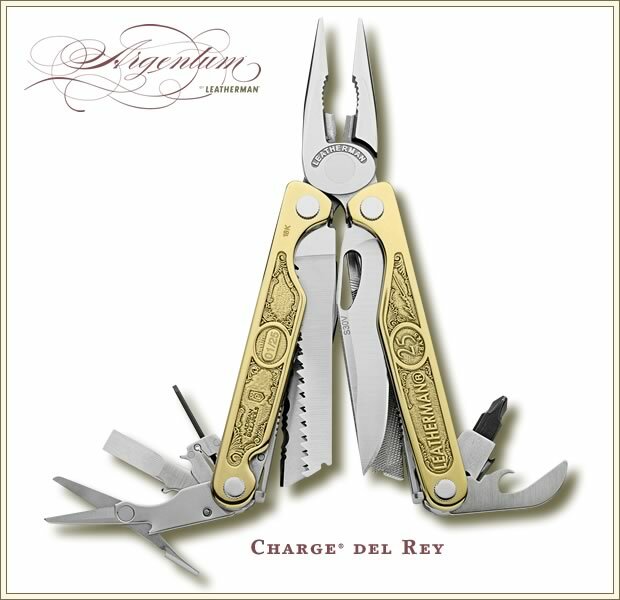 As reported in Newsweek recently, Master artist/ silversmith Adrian Pallarol has come up with the Leatherman Charge Del Ray. This luxury pocketknife sports a wide array of tools and knives inside its golden arms, and is engraved with 18-karat Andes gold on its handles. It celebrates Leatherman’s 25th Anniversary. Only 25 will be produced, for $40,000 each. Better get your reservation in early as each knife is serialized and at that price who’d want #2 or higher.